Novel or highly modified genes play a major role in the development of the different castes within ant colonies. Evolutionary biologists at Johannes Gutenberg University Mainz (JGU) came to this conclusion in a recent gene expression study. Dr. Barbara Feldmeyer and her colleagues at the JGU Institute of Zoology studied the question how the different female castes arise. An ant colony generally consists of a queen and the workers. 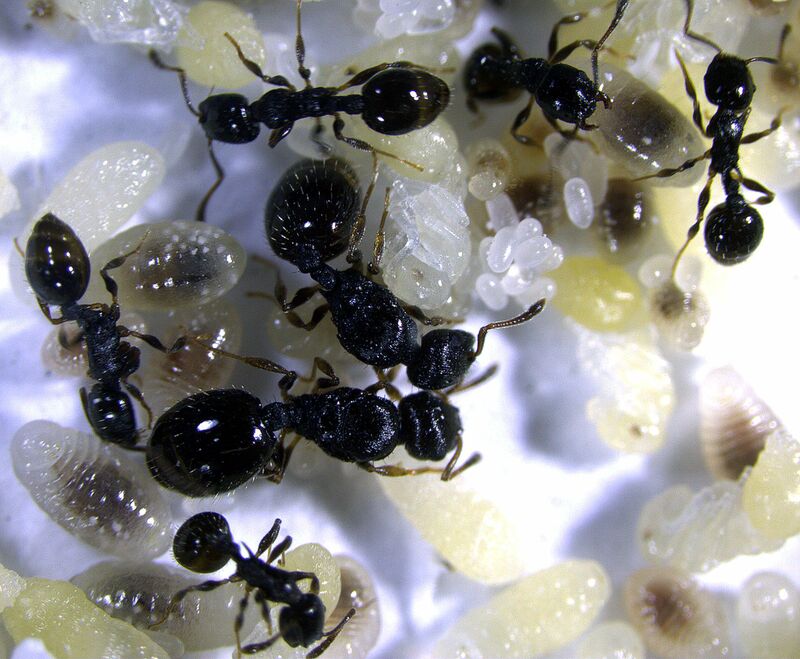 Moreover, workers can differ depending on the task they perform, such as brood care, foraging, or nest defense. This behavioral specialization may be accompanied by morphological and physiological differences. Queens, solely responsible for reproduction, can live up to 30 years while workers have life spans ranging from a few months to several years. In some species there are also soldier ants, which can weigh up to 100 times more than their worker sisters who take care of the brood. Interestingly, the divergent phenotypic traits of queens and workers develop from the same genetic background; the different phenotypic trajectories are determined by the food larvae receive during development. Usually the queen is the sole reproductive individual in a nest but if she dies or is removed, some brood-care workers will develop their ovaries and begin to reproduce. 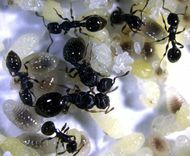 It was this phenomenon that the Mainz scientists exploited in order to induce fertility in brood-care workers of the Temnothorax longispinosus ant species. This allowed the comparison of these fertile workers with infertile brood-carers, foragers, and the queens to determine the expression of genes causing the enormous variations in behavior, fertility, and life span. "We have here the ideal model system to study polyphenism, which describes the situation in which one and the same genotype gives rise to phenotypes that differ in terms of individual morphology, behavior, and life history," said Dr. Barbara Feldmeyer. Each sample used for RNA sequencing encompassed up to 100 million reads, i.e., short sequence sections of about 100 base pairs. The largest differences in gene expression were found between the queen and the worker castes, while the smallest differences were determined between the infertile brood carers and the foragers. The fertile brood care workers occupy an intermediate position between the queen and the sterile workers. The ant queens expressed many caste-specific genes whose functions were known from comparisons with other species. This is not the case for the workers in which about half of the characteristic genes were found to be of unknown function. "Either these worker genes have undergone major modifications or they are novel genes," explained Feldmeyer. The fact that queens express more genes known from solitary hymenopterans and other insects fits to the evolution of social insects with workers being the derived state. "This study of the differences in gene expression among ant castes is characteristic of the enormous advances that are currently being made in the field of biology," explained Professor Susanne Foitzik, head of the Evolutionary Biology work group at Mainz University. RNA sequencing is a technique that enables scientists to gain in-depth molecular information even for organisms that are not among the standard biological model organisms, such as the fruit fly Drosophila. "We can now also look at species known for their complexity in social behavior. In addition, by studying ants we can gain insights into the genes that are responsible for the unusually long life and fertility in insect queens," added Foitzik. The work group plans to continue its research into this area under the aegis of the new GeneRED research unit of the Faculty of Biology and the Institute of Molecular Biology (IMB). Research Unit "Gene Regulation in Evolution and Development (GeneRED)"